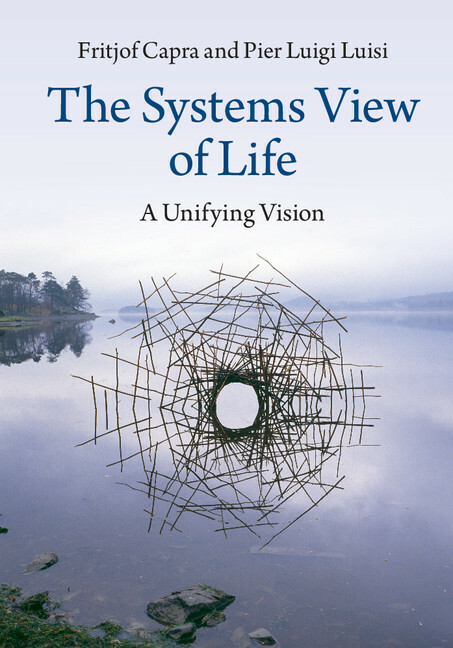 Take a sneak peek at The Systems View of Life, the latest title from Fritjof Capra and Pier Luigi Luisi. In this excerpt from the book's introduction, the authors look at the origin of our connected world and how we understand it. The ancient Chinese philosophers believed that the ultimate reality, which underlies and uniﬁes the multiple phenomena we observe, is intrinsically dynamic. They called it Tao – the way, or process, of the universe. For the Taoist sages all things, whether animate or inanimate, were embedded in the continuous ﬂow and change of the Tao. The belief that everything in the universe is imbued with life has also been characteristic of indigenous spiritual traditions throughout the ages. In monotheistic religions, by contrast, the origin of life is associated with a divine creator. In this book, we shall approach the age-old questions of the origin and nature of life from the perspective of modern science. We shall see that even within that much narrower context the distinction between living and nonliving matter is often problematic and somewhat arbitrary. Nevertheless, modern science has shown that the vast majority of living organisms exhibit fundamental characteristics that are strikingly different from those of nonliving matter. To fully appreciate both the achievements and limitations of the new scientific conception of life – the subject of this book – it will be useful first to clarify the nature and limitations of science itself. The modern word “science” is derived from the Latin scientia, which means “knowledge,” a meaning that was retained throughout the Middle Ages, the Renaissance, and the era of the Scientific Revolution. What we call “science” today was known as “natural philosophy” in those earlier epochs. For example, the full title of the Principia, Isaac Newton’s famous work, published in 1687, which became the foundation of science in subsequent centuries, was Philosophiae naturalis principia mathematica (“The Mathematical Principles of Natural Philosophy”). The modern meaning of science is that of an organized body of knowledge acquired through a particular method known as the scientific method. This modern understanding evolved gradually during the eighteenth and nineteenth centuries. The characteristics of the scientific method were fully recognized only in the twentieth century and are still frequently misunderstood, especially by nonscientists. The scientific method represents a particular way of gaining knowledge about natural and social phenomena, which can be summarized as occurring in several stages. First, it involves the systematic observation of the phenomena being studied and the recording of these observations as evidence, or scientific data. In some sciences, such as physics, chemistry, and biology, the systematic observation includes controlled experiments; in others, such as astronomy or paleontology, this is not possible. Next, scientists attempt to interconnect the data in a coherent way, free of internal contradictions. The resulting representation is known as a scientific model. Whenever possible, we try to formulate our models in mathematical language, because of the precision and internal consistency inherent in mathematics. However, in many cases, especially in the social sciences, such attempts have been problematic, as they tend to confine the scientific models to such a narrow range that they lose much of their usefulness. Thus we have come to realize over the last few decades that neither mathematical formulations nor quantitative results are essential components of the scientific method. Last, the theoretical model is tested by further observations and, if possible, additional experiments. If the model is found to be consistent with all the results of these tests, and especially if it is capable of predicting the results of new experiments, it eventually becomes accepted as a scientific theory. The process of subjecting scientific ideas and models to repeated tests is a collective enterprise of the community of scientists, and the acceptance of the model as a theory is done by tacit or explicit consensus in that community. To read the full excerpt, click here.